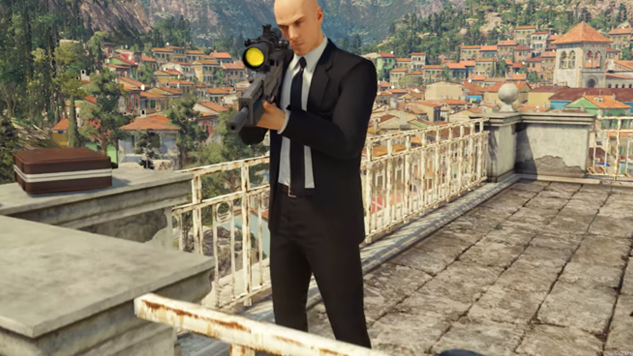 Warner Bros. Interactive Entertainment and IO Interactive have released a new Hitman 2 trailer titled “The World is Yours,” which details the game’s Legacy Pack. Hitman 2 is a continuation of the original Hitman, released in 2016, evolving both the story and gameplay of the series. - Requiem Legacy Suit – don the classic, buttoned ivory white suit as seen in one of the most celebrated levels of Hitman: Blood Money. - Blood Money Shirt and Tie – combined with the Requiem Legacy Suit, nothing beats the traditional pinstripe off-white shirt and accompanying crimson red tie. - White Rubber Duck Explosive – more than just a distraction, this small but potent device will incinerate those unfortunate enough to interact with it. - Silenced ICA-19 Chrome Pistol – the reflective finish on this reliable favorite mirrors its deadly sophistication. If you don’t own the first season of Hitman, you can purchase the Legacy Pack within Hitman 2 to enjoy being a world-class assassin in both games. The trailer also gives a sneak peek at what’s in store for Hitman 2’s future. Ghost Mode, the game’s competitive multiplayer campaign, will be expanded with new levels; a “predator-themed” challenge pack in Columbia will unlock unique items; and there will be a constant flow of new content, ranging from holiday-themed material to special challenges, missions and modes. For more details on the Legacy Pack, you can visit the IO Interactive site and read the FAQ page. Watch the trailer below. Hitman 2 is out now on PC, PlayStation 4 and Xbox One.